Ben Kingsley is one of our greatest living actors and a chameleon who can play virtually anybody he puts his mind, even the occasional supervillain. But, let's be honest, he doesn't always have the best judgement in the projects he takes on. 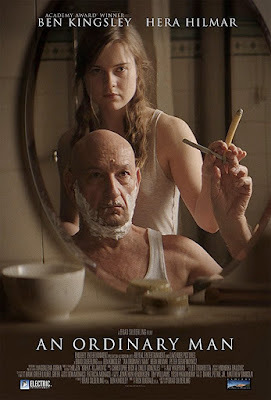 I'm going to hold out hope for his latest, An Ordinary Man, as it reteams him with Hera Hilmar, the underrated actress from The Ottoman Lieutenant. Directed by Joseph Ruben (The Good Son) and co-starring The Tick's Peter Serafinowicz, the film stars Kingsley as a war criminal and former general on the run from international authorities. Helmar plays the maid at his new secret hideout, with the two developing a relationship before he uncovers her true identity, which changes everything. An Ordinary Man hits theaters and VOD on April 13th.